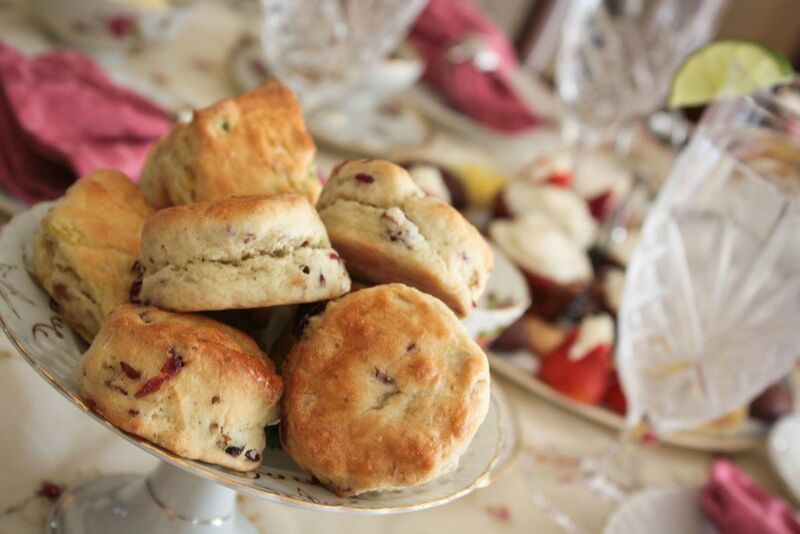 If you are an early riser, awaken to the aroma of fresh brewed coffee and homemade scones and muffins, available in the kitchen. 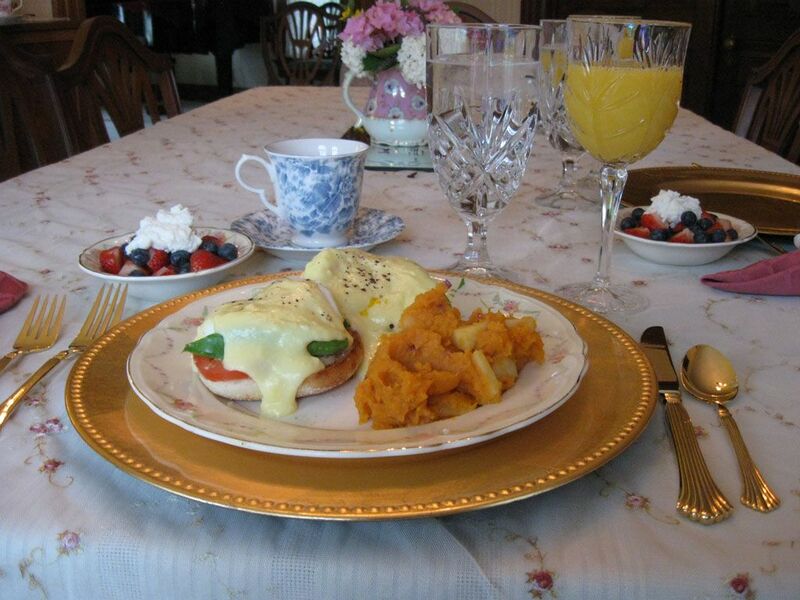 Let us treat you like royalty as we serve you a full breakfast in our formal dining room at an agreed upon time. 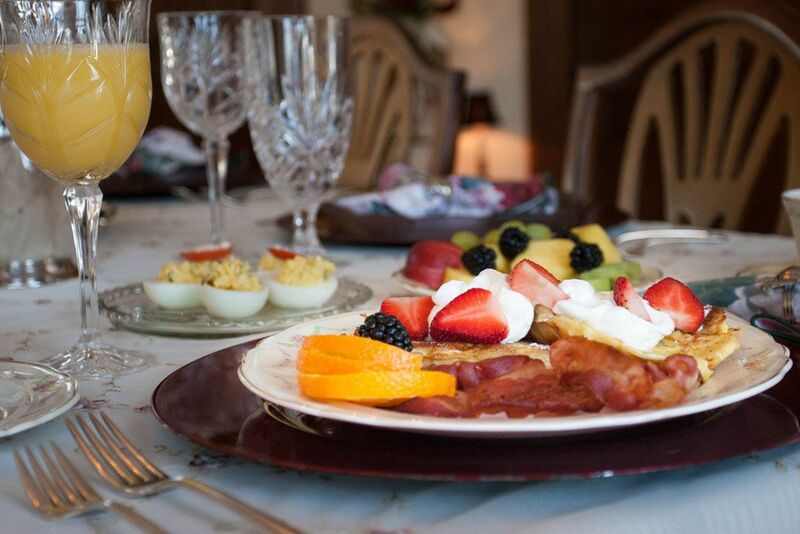 For guests departing early or sleeping late we offer a continental breakfast. We are happy to accommodate special dietary needs so please let us know when you make your Victorian Rose Garden reservation. You won’t go hungry at this very popular local Italian restaurant, known for both classic Italian dishes and create-your-own pasta. Start your meal with warm, crusty bread and olive oil. The portions are generous and you will probably bring home a “doggy bag”. Reservations suggested on weekends. WOW – a sailboat floating in the water, surrounded by live fish, is the first thing you see upon entering Port Ed’s. You might even be able to get a reservation to dine on the sailboat! Port Edward’s unique nautical setting has been hosting delighted guests for over 53 years with its’ fine dining and seafood specialties. Come aboard for one-of-a-kind dishes, live music, a full wine cellar, and gift shop. Enjoy seasonal Dockside Dining on the patio facing the Fox River. Reservations suggested. Looking for the unusual? Be adventuresome and try the Lobster Pop Tart, Alligator Tail, Wild Boar Country Style Ribs or Herb Crusted Veal Tomahawk. There’s the BOLD for you, but regular American fare such as steaks, prime rib and chicken are also available. Reservations suggested. Round ‘em up and dine at this old Wild West themed restaurant which specializes in a variety of BBQ meals. 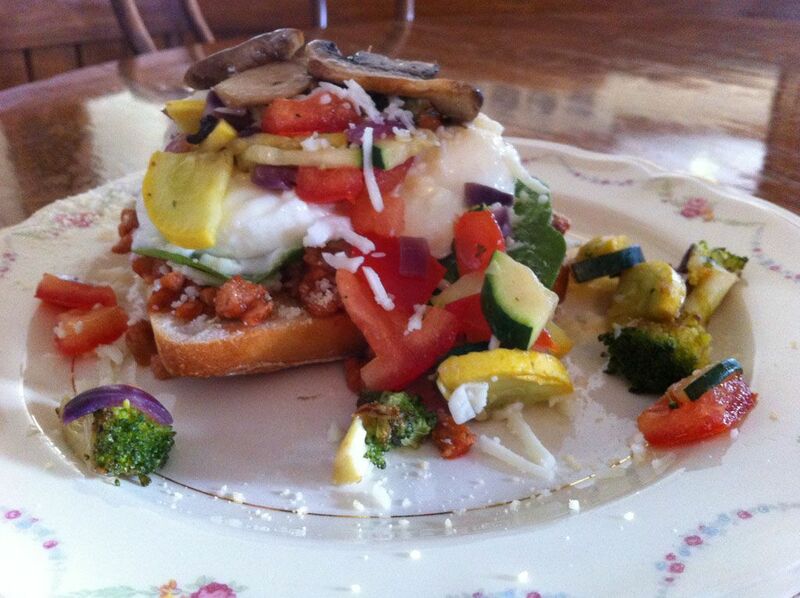 The menu also features sandwiches, chili, cornbread, sides, beer and wine. A casual and fun place to chow down, “pardner”! Experience ice cream handcrafted by local artisans (in other words, delicious homemade ice cream). We love their ice cream, especially the coffee-toffee!